At Camp River's Bend campers participate in two activity periods each day, with the exception of Sundays. Each activity is taught by counselors skilled in their craft, who work enthusiastically to make every activity period fun, meaningful, and educational. Campers will walk away from each summer having developed skills and interests that they will carry with them for years to come. Archery, Riding, Riflery, Canoeing, Fishing, Campcraft, Craftshop, Fieldsports (Lacrosse, Flag Football, and Soccer), Baseball, and Basketball. 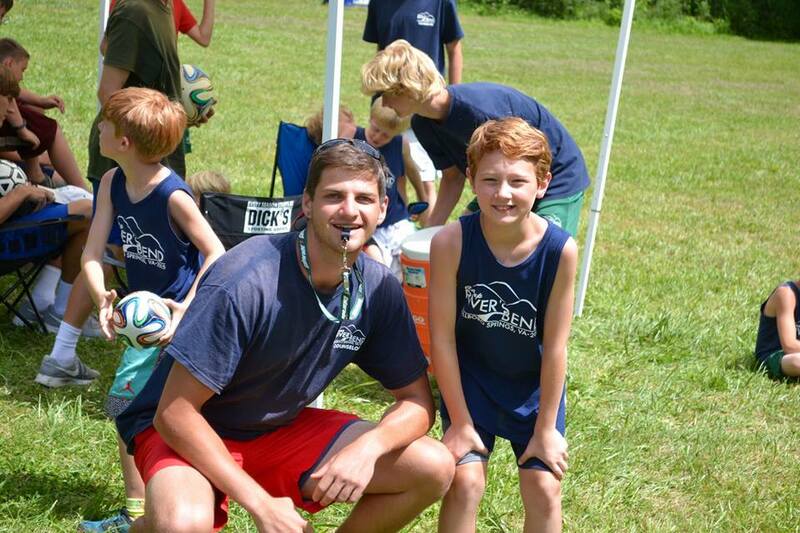 Camp River's Bend has various sports leagues that campers participate in throughout the camp season. Campfire Sing-Alongs, Fishing Hikes, Canoe Trips, Overnight Hiking Trips, Overnight Horseback Riding Trips, Dances, Church, Evening Challenge Matches and Games, Navy vs. Green Competitions, Archery Tournaments, Riflery Tournaments, Tug of War, and many more!